It’d be difficult to guess just by looking at the adorably cute and perky star of Heroes and Nashville that she once hid a difficult secret. It’s a burden that many, many women around the world deal with on a daily basis but don’t talk about out of shame, fear of judgment, or any other number of reasons: postpartum depression. Panettiere, who played a spunky blonde cheerleader on Heroes, first went public with the admission on the Kelly & Michael Live show. She said that she had been struggling with postpartum depression since the December 2014 birth of her daughter Kaya Klitschko (with husband Wladimir). 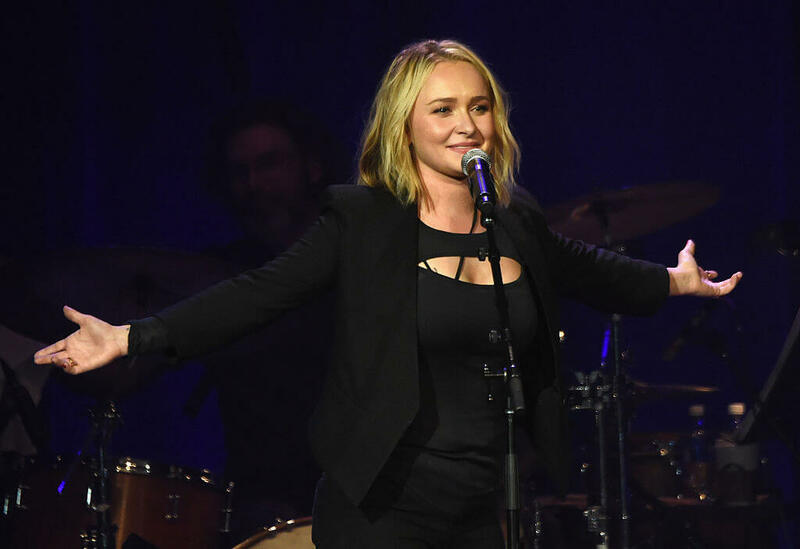 One of the primary reasons for addressing this personal issue in a public arena was that Panettiere wants other women suffering from depression to know that they are not alone, and that there’s help available. “It’s something a lot of women experience. When [you are told] about postpartum depression you think it’s ‘I feel negative feelings towards my child; I want to injure or hurt my child.’ I’ve never, ever had those feelings. Some women do,” Hayden said on Kelly & Michael Live. “But you don’t realize how broad of a spectrum you can really experience that on. It’s something that needs to be talked about. Women need to know that they’re not alone, and that it does heal,” she said. These numbers may be a bit low since many women are reluctant to admit struggling with the condition, but experts estimate that roughly 10 to 15% of women suffer from postpartum mood disorders. If these symptoms continue for two weeks or more, it’s time to see a doctor. There are treatments, and you don’t have to suffer alone. As Panettiere said, “There’s a lot of misunderstanding. There’s a lot of people out there that think that it’s not real, that it’s not true, that it’s something that’s made up in their minds, that ‘Oh, it’s hormones.’ They brush it off. It’s something that’s completely uncontrollable. It’s really painful and it’s really scary and women need a lot of support.” Please, get the help you need. And don’t be afraid to ask loved ones for their support. Treatment for postpartum depression depends on the patient’s individual needs and on the severity of their condition. Generally, those with postpartum depression do well with talk therapy, medication, or a combination of the two. She now says that she is a better mother because of her experiences. On Good Morning America in 2017 she said that postpartum depression “helped me identify what was going on and let women know that it’s OK to have a moment of weakness. [It] doesn’t make you a bad person—doesn’t make you a bad mother. It makes you a very strong, resilient woman.” These are inspirational words for anyone who has shared Panettiere’s struggles.